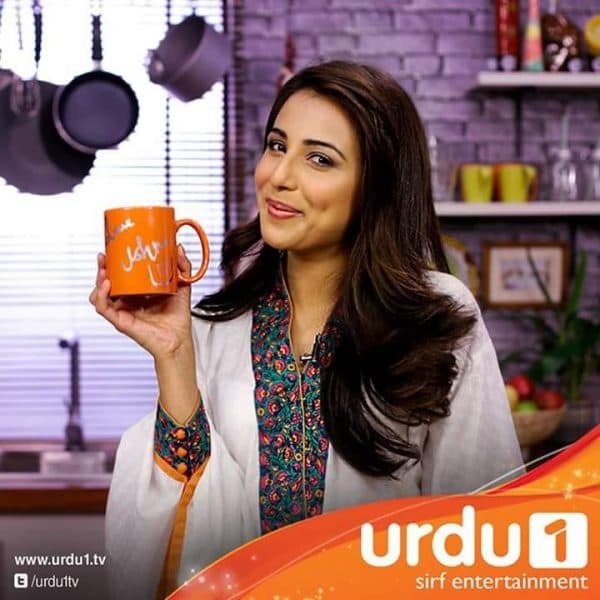 Ushna Shah was welcomed to the show today. Honestly, I had no idea that Ushna comes from a family that’s associated with the industry. 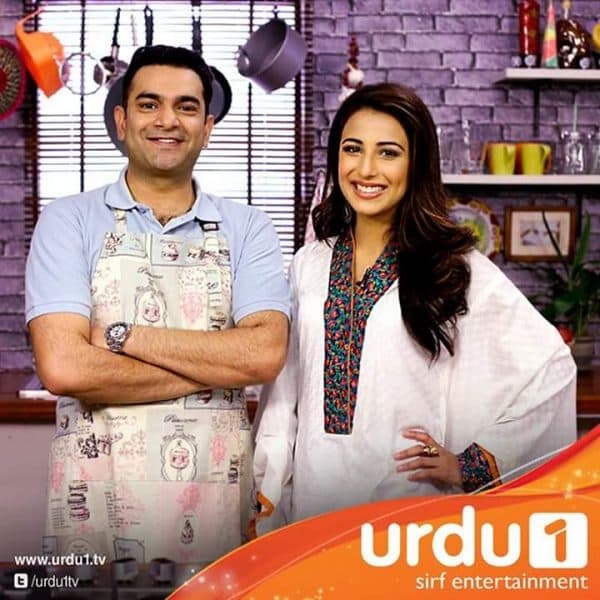 The very graceful and talented Irsa Ghazal is her sister, her brother has played an important part in the revival of theatre, and Sarmad also revealed that his mother is good friends with Ushna’s mother, Ismat, because the two worked together on radio. About her upcoming film, Teri Meri Love Story, Ushna shared that it’s a romantic comedy flick. She also shared that the film has a great soundtrack, with four good songs. 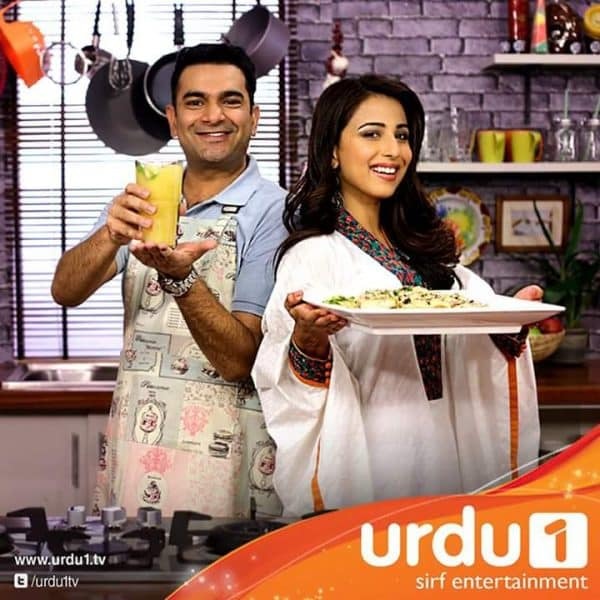 Sarmad spoke highly of Jawad Bashir, the director and writer of TMLS, because he introduced him to the field and Sarmad made his TV debut with Jawad Bashir’s drama. I like what Ushna said about empathy and how all of us should develop empathy not only towards the underprivileged but towards every single person from every section of the society. Today, we saw Sarmad making Italian, coupled with a refreshing pineapple drink. Ushna looked really pretty today.